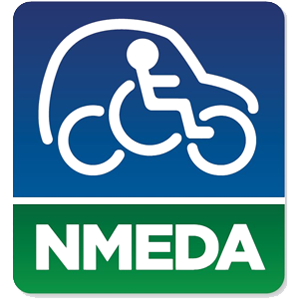 As advocates and leaders in the mobility industry, NMEDA member dealers strive to provide persons with disabilities with a one-stop shop for quality wheelchair adapted vehicles. 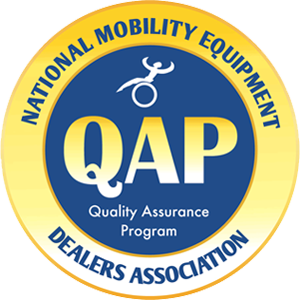 Developed to elevate the level of mobility dealer quality, performance, and reliably meet consumers&apos; transportation needs while ensuring safety, NMEDA&apos;s Quality Assurance Program (QAP) is the only nationally recognized accreditation program for the adaptive mobility equipment industry. Participation in the QAP offers training opportunities and programs to improve your business, as well as accreditation that lets customers know your business is committed to quality, safety, and reliability within the adaptive transportation industry. Maintain a NMEDA approved Quality Control Manual that defines processes affecting quality and focuses on customer satisfaction and compliance to applicable industry and regulatory standards while fostering continuous improvement opportunities on product and services offered. Maintain Product, and Completed Operations, and Garage Keepers insurance for liability purposes and to protect the consumer and dealer. Have certified welders (or equivalent in Canada) if they perform structural modifications to vehicles to assure welds and modifications meet or exceed industry standards. Have technicians who are certified for the equipment they sell, install and service. Maintain detailed records of all adaptive work for at least seven years that are specific to a customer/vehicle for traceability and future reference. Canadian Motor Vehicle Safety Standards (CMVSS). Abide by the Mediation Committee&apos;s decisions whenever a complaint is lodged. Have a dedicated phone number manned by qualified service personnel and provide 24/7 hour emergency service or support assistance to their customers at home or on the road. Meet NMEDA shop facility and equipment requirements to assure ADA guidelines (or Canadian equivalent) are met or exceeded and customers are comfortable during fittings and on-site inspections. Perform weight analysis using calibrated four-corner scales to assure customer safety and completed product complies with all applicable motor vehicle safety standards and cargo carrying capacity requirements are maintained. Maintain calibration on measurement equipment to assure data accuracy and manufacturer installation instructions are followed. Use the NMEDA Servicing Dealer Agreement when offering products outside of the standard service area to assure the product or service will be performed by another accredited QAP dealer.